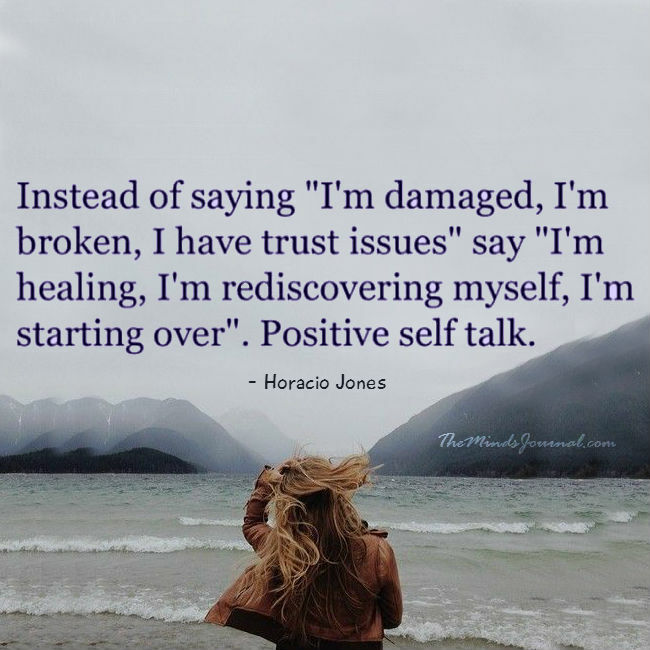 Instead of saying “I’m damaged, I’m broken, I have trust issues” say “I’m healing, I’m rediscovering myself, I’m starting over”. Positive self talk. Terra Farnham: this is a beautiful practice indeed. ?